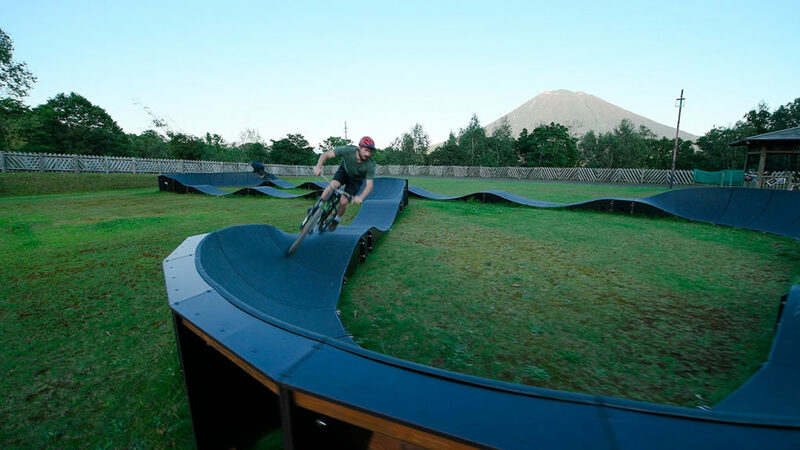 Rhythm Pump Track, 11 September 2018 from 360niseko on Vimeo. As winter draws closer “Winterization” is gathering pace. Winterization? That basically means taking apart and storing anything outside that can’t stand being buried under meters of snow!! The Rhythm Pump Track at Sun Sports Field has been a great addition to Hirafu Village over the summer but today the track will be dissembled and stored for the winter. Here is a short video taken yesterday of Marlo, Akira, Andy and Alex having their last few pumps. Yeah Marlo! Andy and Alex doing it for the love of it.